The Field, Forest, and Vine Blanket out of Valley Yarns Cold Spring combines some of our favorite elements in a blanket pattern: it’s soft, it’s pretty, it’s easy, it doesn’t have ANY ends to sew in, and it has a fun, foolproof method for making fringe at the end. 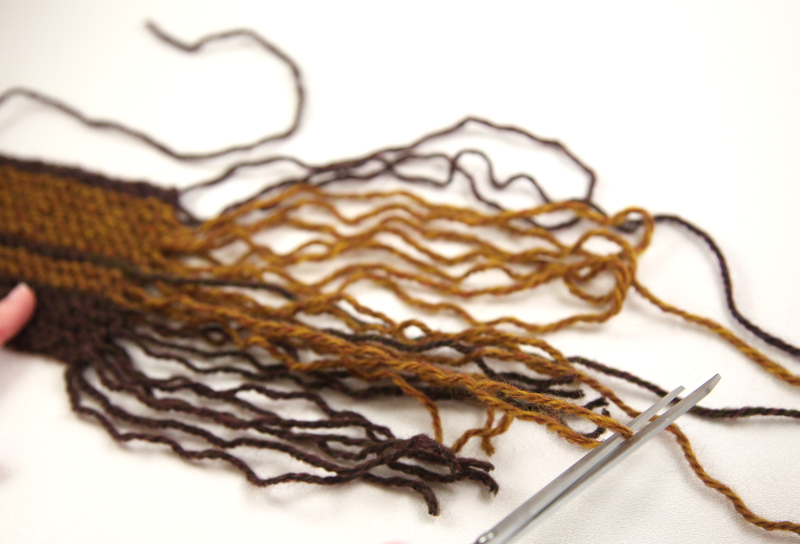 We’ve used it once before in the Self Fringing Scarf and think it would also make a great technique for any stash-busting scarf, shawl or blanket project where you don’t want to have to save yarn for the fringe. 1. 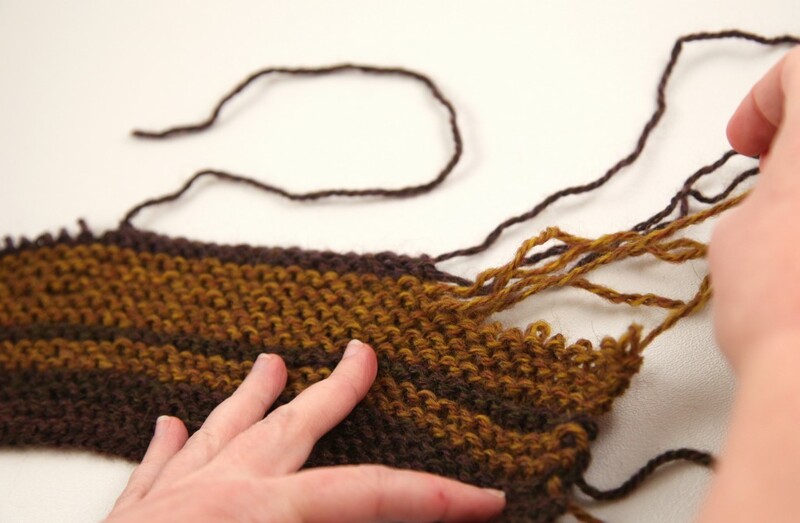 Once you’re done knitting, you’ll leave the first and last 10 stitches (give or take, depending on how long you want the fringe) live while binding off all the rest. 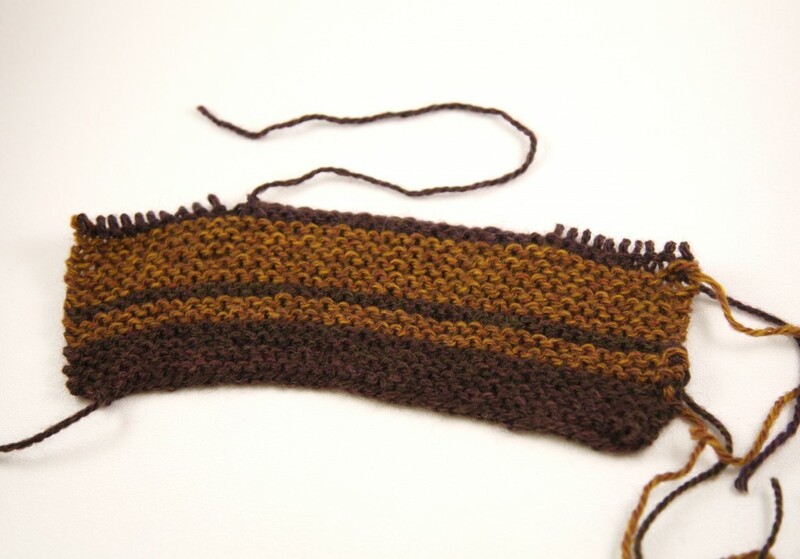 To do this, knit the first 10 stitches, then bind off all the following stitches until 10 stitches remain on the left needle. 2. 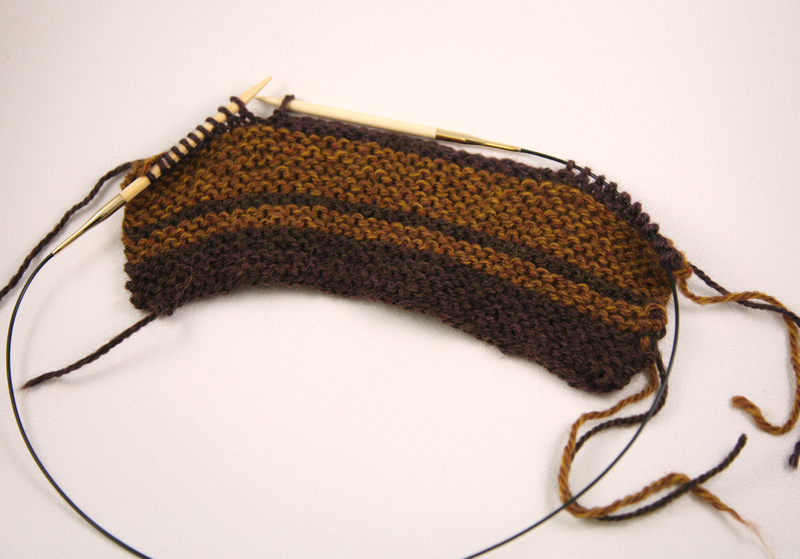 Cut the working yarn and fasten it off, then take the remaining stitches off the needles. 3. Unravel the live stitches all the way down through the cast on edge. Whee! 4. 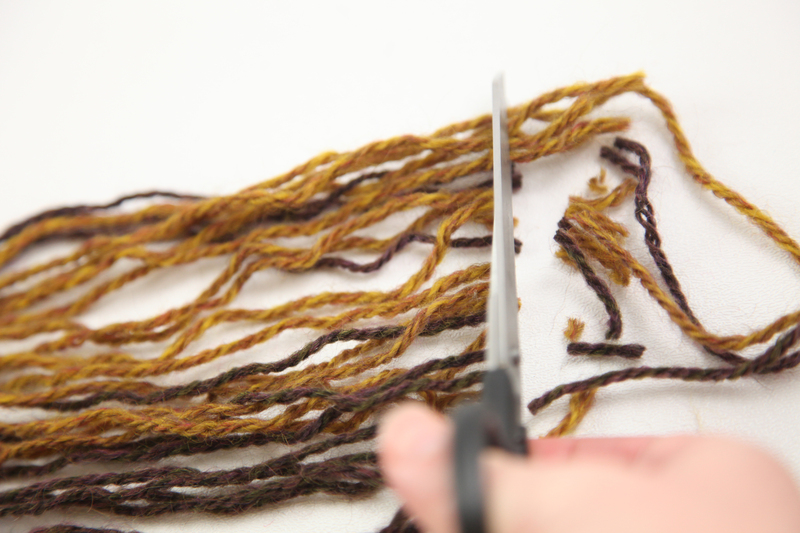 Cut any loops so that each row has one fringe strand – see how those unsewn ends from the color changes are just the same as all the other fringe strands? They’re just a little bit longer. 5. 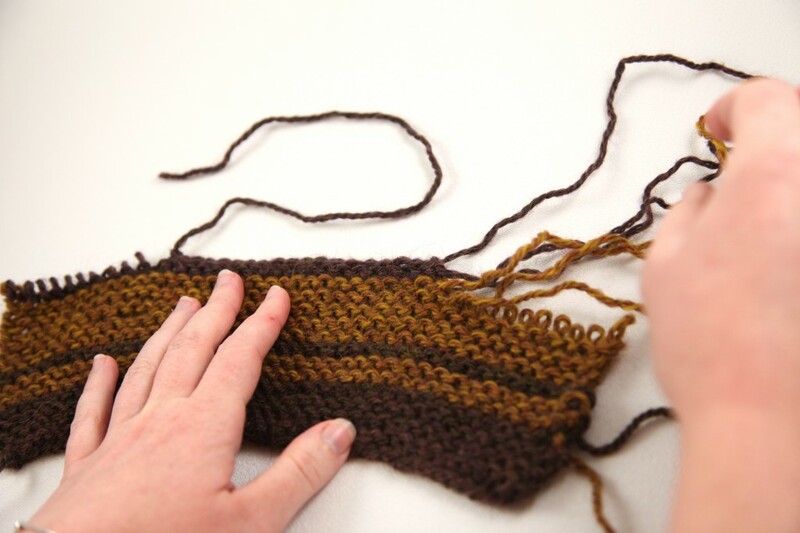 Tie fringe in groups of 4 to 6 strands (or however many you like, really) with an overhand knot, snugging the knot up to the edge of the knitting. 6. Trim the fringe so all the strands are about the same length. 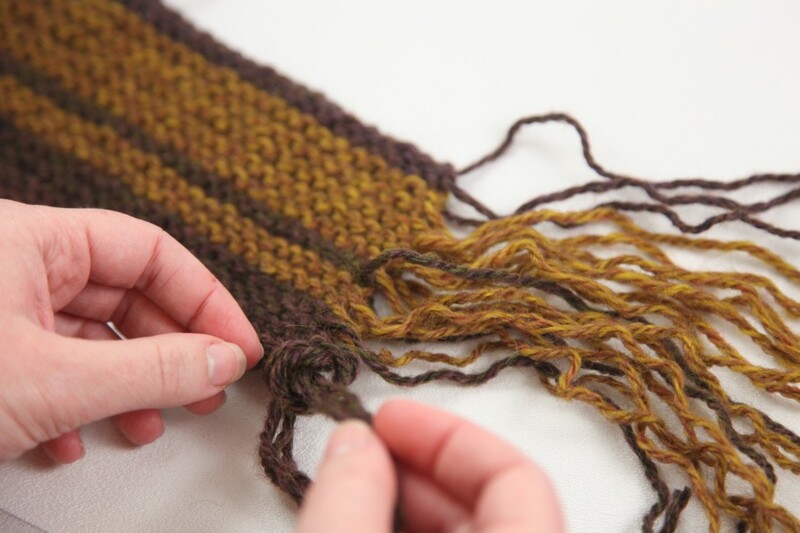 You may want to fold a big project like a blanket a few times so you can cut multiple layers of fringe at once and get them all the same length. This week’s free pattern features one of our April Anniversary Sale Yarns. The Quilt and Cable Blanket is knit in Cascade Eco+. Cascade Eco+ is normally $20.00, but for the month of April, it’s on sale for $13.99. The blanket takes 4 hanks of the yarn, so this cozy project will total $55.96, which is a great price for a 100% wool blanket. I would love to curl up under one of these next winter. There are also some fantastic color options in Cascade Eco+. 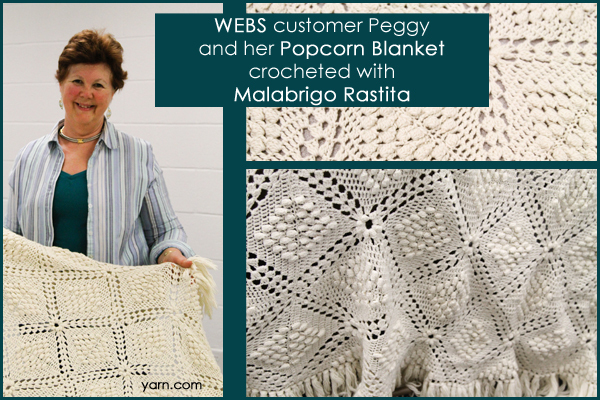 Click here for a link to the free pattern. Have you purchased your favorite April Anniversary Sale yarns yet? What is your favorite?